Eilersen is known for their wide range of sofas, and now the Danish design manufacturer complements the collection with four different types of poufs: A small, a round, a rectangular and a square. The pillows can be padded in Eilersen's almost unlimited selection of fabrics in wool, velour, linen and cotton, and thus adapted to any home and needs. Behind the design of the new poufs stands Nils Juul Eilersen, the fourth generation in the family company Eilersen. 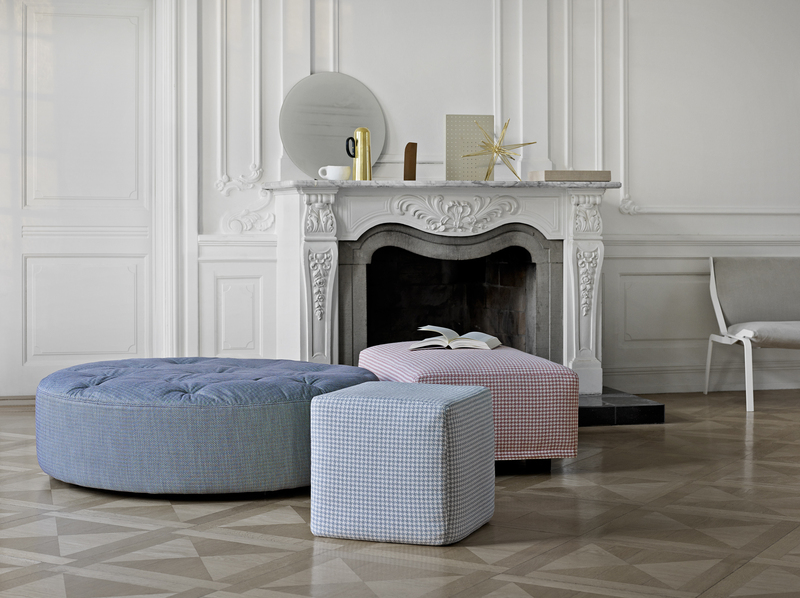 Nils Juul Eilersen's ambition with the new collection of poufs is to make it even more comfortable and relaxing to stay in one's home and even easier to find the optimal sitting or sleeping position. Bun is small and square with its only 40 x 40 centimeters. A pouf designed to accommodate most rooms, including those where the square meters are few and the need is therefore greater for finding an extra seat or putting your legs up to increase the comfort of a small sofa. Wheel is a round puff that can be used as a seat for several people, for resting the legs or as the soft table in front of the sofa, where a tray or books and magazines can be kept. The pouf with its four different diameters from 60 to 120 centimeters can be customized exactly as needed and desired. Whether it is to be padded with a button in the middle or spread over the entire surface, is just a matter of personality and style. 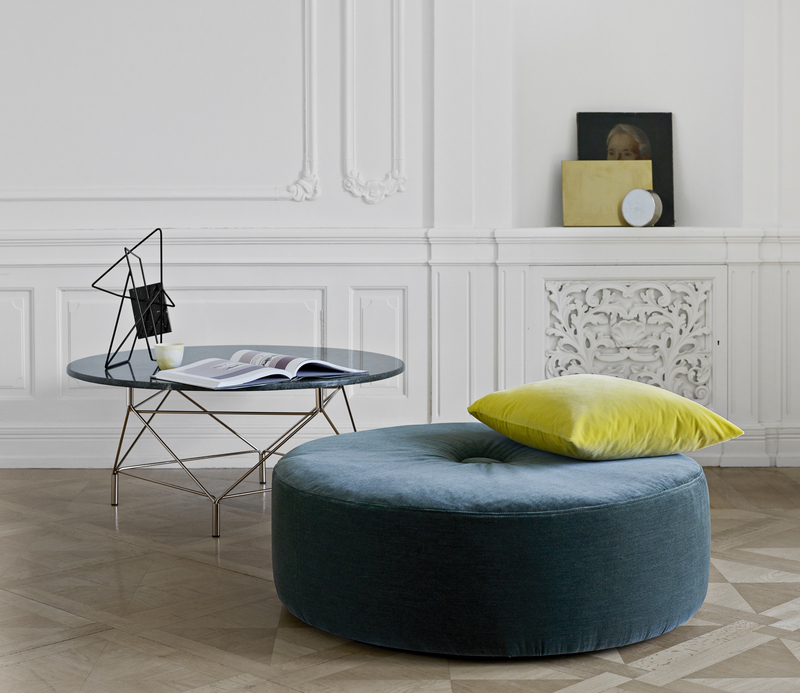 Square is the oblong pouf, which is perfect in front of the sofa and as an alternative to the side table. Or it can act as a small daybed that can be placed in a room that requires a non-directional piece of furniture. 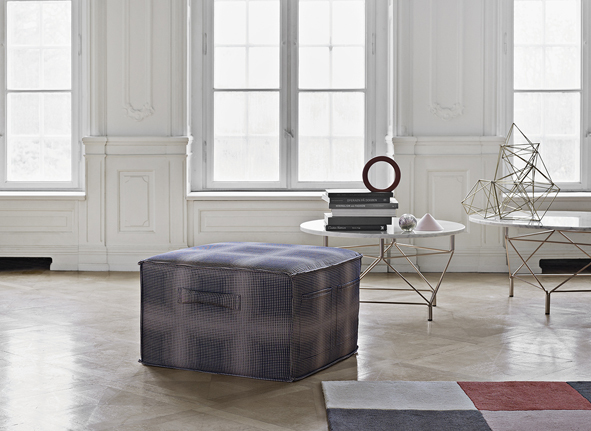 Square comes with a seat padded with buttons that can be treated with the same textile as the pouf itself or in another. Feet is the ultimate pouf when it comes to usefulness. Feet has handles so that it can be easily moved from room to room, and if you want to make it even more practical, Eilersen also offers a model with two sown-in pockets to accommodate a magazine, remote control or iPad.